This unusual type of jade comes from Henan China. It has a light white color, mixed with pure golden yellow. 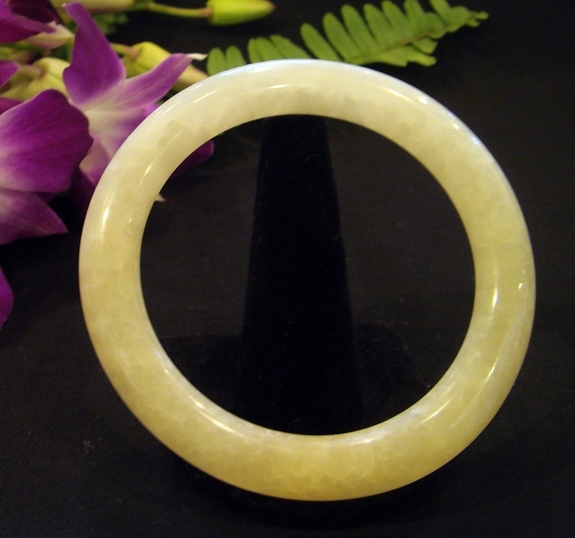 This is a much softer stone than the normal nephrite or jadeite. It has been utilized in China for thousands of years. The same type of stone is also seen in bowls, large carvings, cups, and ornaments. Size 7.5" circumference, weight 44 grams.